Greetings Rob and all your friends, followers, family and others! I’m E.T. 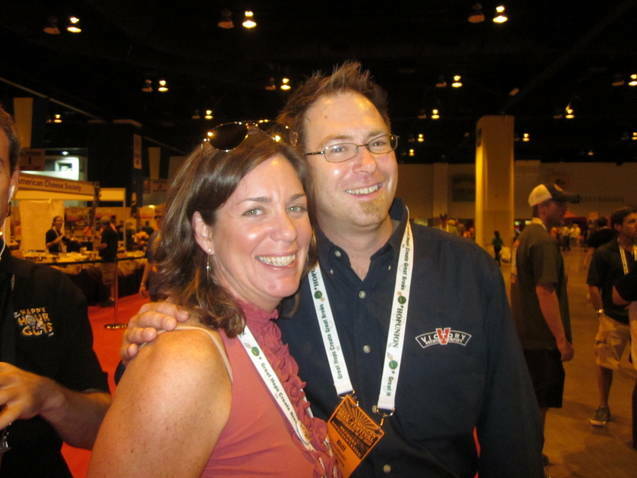 Crowe, a.k.a the Ann Arbor Beer Wench, a.k.a. 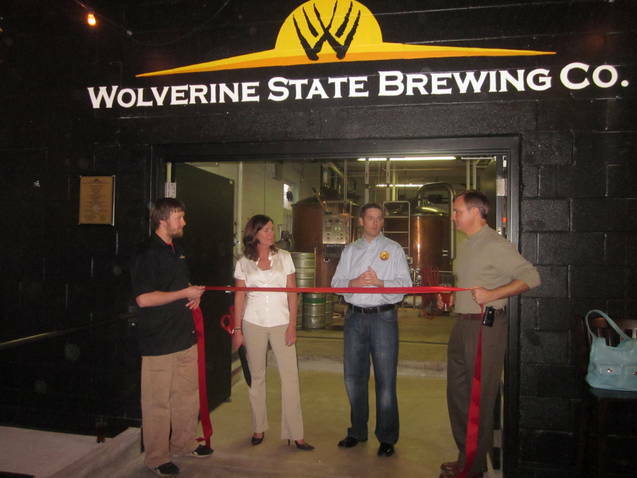 part owner and marketing director for the Wolverine State Brewing Co. in Ann Arbor, Michigan. I am not a brewer, but I pay a couple of guys to be so. I was not a craft beer “person.” I am now though and there is no advocate more annoying than a convert. I sold stuff for a living for many years. First I sold “warm fuzzy feelings” for various non-profits, then my services as a marketing consultant to several caterers, architects and other small businesses in the Ann Arbor Area. Then, I sold houses. And I did, as they say, very well. But I did not enjoy it much, despite making a very good living at it. Since then, we’ve opened our commercial brewery and Tap Room doors, way outsold our targets and have expansion plans in the works after just one year. Michigan is, depending on when you look, either the 5th or 6th largest in the U.S. in terms of craft beer production and sales. As “The Great Beer State” we are lucky to have had some big-time pioneers around, a few you have no doubt heard of: Bells, Founders, New Holland, Arcadia. We also have a lot of “cult stars” like Shorts, Dark Horse, Jolly Pumpkin, and a few others. Frankly, the whole state is craft-beer nutso and we are up to something like 103 licensed microbreweries between the shores of the Great Lakes. We brought something a little different to this mix. Lagers have always been our focus. We built our entire business plan and brewery with them in mind, constructing a huge cooler, investing in large expensive glycol systems and folding the natural bottlenecks and pinch points that lager beers create by their very nature into the mix. We have had a lot of success at it so far thanks to a talented and creative brewery staff, a great group of Tap Room servers, and our robust use of social networks to get the word out early and often. We have even declared 2012 the year of the LAGER REVOLUTION, wherein we push craft beer in a new direction using both traditional lager recipes (our flagships are “Premium,” “Dark,” and “Amber” in bottles and draft) and messing about with other stuff like Czech Pilsners, Classic American Pilsners, Schwarzbiers, California Commons, Baltic Porters and other hybrids, and even true Oktoberfests (ours gets brewed March 1). But the real fun stuff involves going beyond the “lager norm.” Our brewers have come up with a concept that takes “hybrid” one step further. The Gulo is a deep golden brew, made using classic India Pale Ale recipes, and fermented using lager techniques. If I say anything more specific, my brewers will have my head on a platter. To develop this further, in March we will release round two of our Gulo Series: Gulo Noir (or Nox, or Nocturnus, depending on where we are in our current Mexican stand off on this name). It is a classic example of what we do best. If we were to declare a style, India Black Lager would be it. A crisp, black and roasty lager beer, balanced with clean malt character, charged with unique hop flavor and aromas that are definitive of American hop varieties. Showcasing a citrusy and tropical fruit profile with an essence of hops you can only get from an India Black Lager made by the Wolverine State Brewing Co. (whoops, let my brewer talk for a minute---smacks him and sends him back into the cellar). Both of these beers come in at about 6-7% ABV with international bitterness units in the high sixties/low seventies. I contribute once a month to a regional beer publication, MittenBrew and this month I wrote a little history of our humble company, as a fairy tale. Check it out. http://mittenbrew.com/2012/01/beer-time-story-lagers-for-all/. It sorta says it all, in prose. 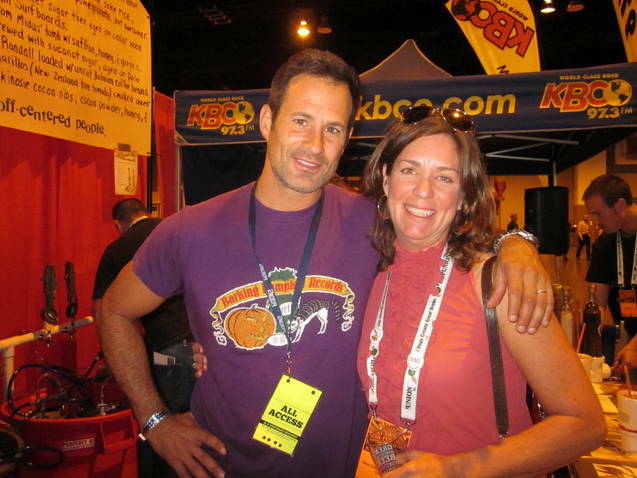 **Oh, I also have an extreme obsession with Sam Calagione. It’s a known fact, but essentially harmless. ***WARNING: I have been known to get distracted by hot soccer players on my blog, so deal with it.